I took a quick break from Tarzan to listen to and review this book and its sequel after winning a copy of the sequel in audio form. I had never read any books released by the author under this name but I'm a big fan of the books she's written as Janette Rallison. Her Rallison books are light, fluffy, and funny fantasies for young adults. Since I'm a big fan of light, fluffy, and funny, those books are right up my alley. Luckily, I also like darker books about how the world can (and probably will) go wrong. Throw in time travel and I'm good to go. Sheridan and Taylor are identical twins, but only on the surface. Sheridan is a pretty typical 17-year-old: worried about her grades, pleasing her parents, and getting along with her twin sister. The latter can take some effort because Taylor is a bit of a rebel who gets her sister into situations she doesn't want to be in. Oh, and she's a top-notch genius who graduated from high school years ago and is now running around with the college crowd. The story begins with Taylor trying to get Sheridan to cover for her so she can go out with an older boy, something her minister father does not approve of, when the twins are suddenly thrown 400 years into the future. This is no Disneyland Tomorrowland, personal freedoms are gone, the government controls everything, and the world is composed of many domed cities which are at perpetual war with each other. Here they find out that they have been pulled into the future by accident, the government had been looking for a scientist to give them an edge against their enemies. They certainly never planned on teenage girls. Because language evolves, English is almost unrecognizable to the girls so a couple of translators are called in. The father and son team are "experts" in 21st century English and are able to communicate with the girls even if they don't understand many of the idioms from our time. The younger of the translators, Echo, is also a twin, something very rare in the future. He and Sheridan bond over shared losses. She's grieving for her parents and two brothers, dead for 400 years, and he's grieving the recent loss of his twin brother and girlfriend. The sisters are on a collision course with the oppressive government regime who want to wipe their memories and they will need Echo's help to survive, but can they trust him when he has secrets of his own? Let's talk about what works. The characters are well-done. Sheridan is the good daughter, the loving and kind one who thinks about others but feels inferior to her prodigal twin sister. Taylor is brilliant but tougher and less friendly than her sister. The two play off of each other really well. Echo is an interesting guy and we know from the get-go that he's not happy and wants to get the heck out of Dodge. The mystery about what happened to his brother and girlfriend drive the plot at least as much as the question of how to keep the twins alive and with their memories intact. 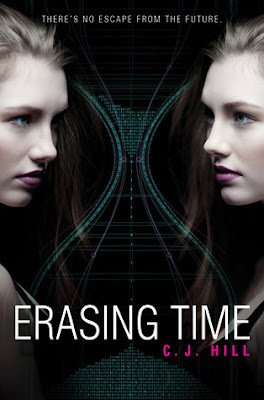 The author made it clear from the beginning that there would be no return to the past and I would have liked a little more grieving from the girls about that. The pace of the story is a little fast, however, and doesn't leave much time for reflection. That's not a bad thing, and the intended audience probably won't care, but I can't imagine shrugging off the loss of everything and everyone I love as quickly as these girls do. The world-building is a little sketchy sometimes, with some interesting ideas but some not as well thought out. I liked the idea of the rank badges, for instance, but thought there was too little thought put into what would be happening in entertainment and day to day life. The author throws out references to VR but that's already current technology in our time. I would have liked a more original take on how people spend their leisure time. One of the biggest changes in the future is the complete abolishment of religion. I get why the author did it, but religion is one of only a few cultural universals and it has always defied attempts to eradicate it. It plays a big part in the plot and was handled respectfully, however, so I can roll with it. Overall, I liked the book quite a bit. It's fast-paced with good characters and an intriguing plot. I just thought the world-building could have used some work. I would be happy to read more like this from the author. I gave it four stars because I really enjoyed it, but I didn't adore it.